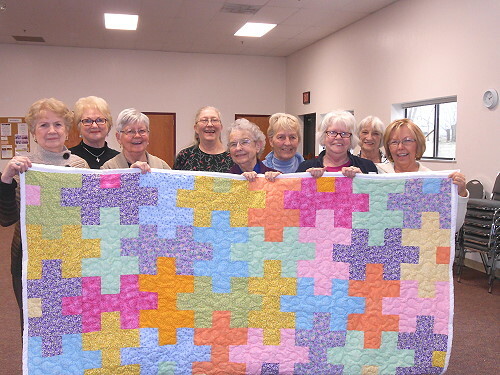 Betty Geidd of Mansfield, center, was pleased to receive the Jigsaw Puzzle Quilt that she won in the drawing at the Skyline VFD Auxiliary Chili Supper on March 8th. She had purchased her ticket at the last Old Biddies Bridge Club Third Thursday Meeting in February and it was delivered to her on Thursday the 27th of March. Celebrating with her were some of her bridge friends pictured here: Theda Rush, Marilyn Robertson, Dorlene House, Carol Tharp, Betty Geidd, Bona Achord, Jane Feltner, Judy Rodery and Sylvia Neff. 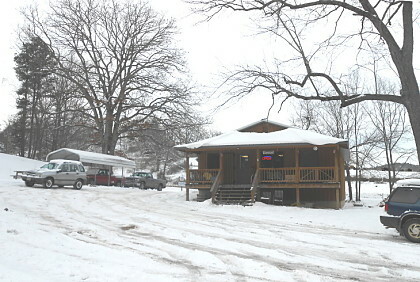 The group meets monthly at the Mansfield Community Center. They have been playing together for a long time and have are pleased to have such a convenient and pleasant venue. The Skyline VFD Auxiliary was pleased for the support of the group for its fund raiser. 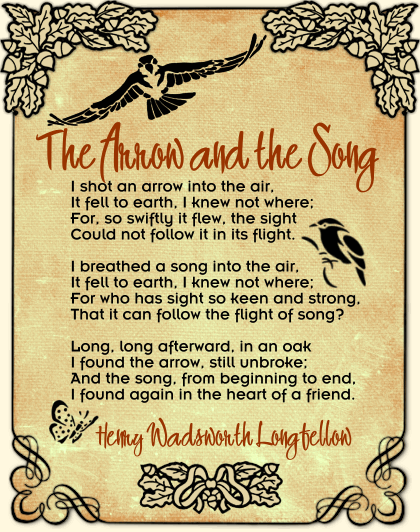 It is lovely to see friends win. Chris Dailey and President Betty Dye display the queen size Jigsaw Puzzle quilt that will be the centerpiece of the Skyline Chili Supper. 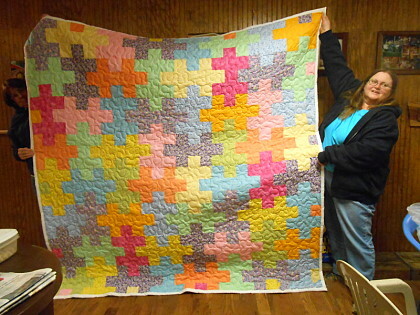 Betty pieced the brightly colored quilt and it was quilted by the folks at Jernigan’s in Ava. 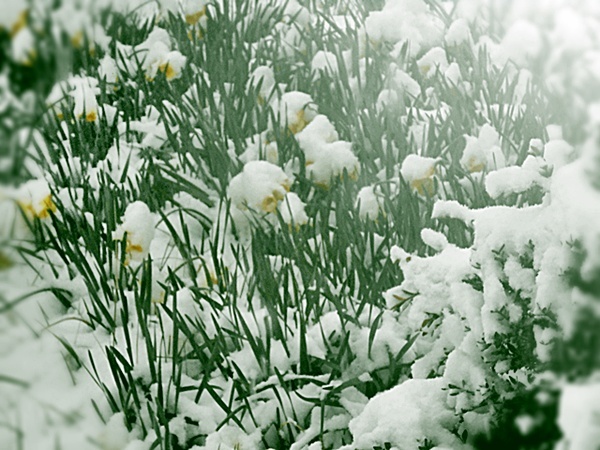 Linda’s Almanac for November is up. The link is now at the top-right of this page. 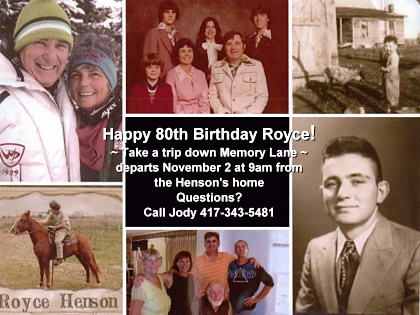 In honor of Royce Henson’s 80th birthday, the Henson family will make a pilgrimage through Champion on their way to lunch at Rockbridge on November 2nd, 2013. The group of twenty or more will stop over in Champion in the mid-morning to tour the old Champion school. Happy Birthday to a real Champion! Clifton Luna, 88, led the West Plains Wagon Club into Champion on Thursday where they were welcomed by a crowd of people from all around the area who came out to enjoy the spectacle, including some from Springfield and Marshfield. Mr. Luna said they started out with ten wagons from West Plains on Monday and picked up two more on the way. They were met in Champion by an additional two belonging to Jerry and Diane Wilbanks and Jerry and Bonnie Arnold, who started out that morning from near Veracruz. 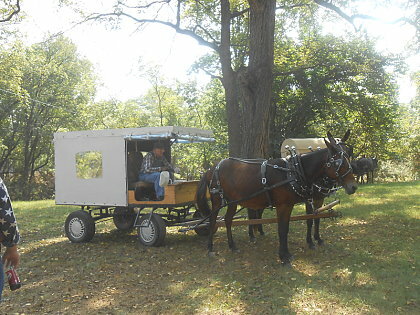 As the travelers enjoyed their lunch, ice cream and a little rest, the community enjoyed the chance to visit with them and to inspect the animals and the wagons. It was a festive afternoon with live music provided by a number of local favorites. Guitars, fiddles, banjos, mandolins, and a big bass fiddle all came out of their cases for a jam on the hillside. A number of outriders go in advance of the wagons to scout and provide security. 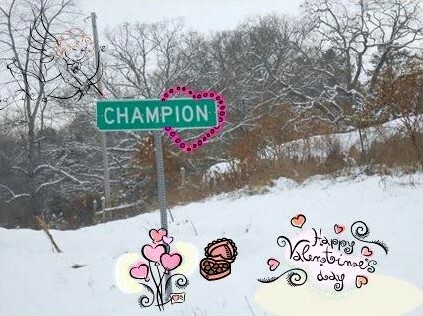 They were serenaded as they left the Champion Square headed north up the county road. The wagons followed and the music continued until long after the dust had settled. The weather stayed hot on the trail up until Friday when the group reached its destination in Mansfield. Randal Barnet, Ken Felts, Coy Stone, Ray Gibson, Earl Duke, and Jim and Judy Cantrell had all stared the previous week from Viola, Arkansas to meet up with the West Plains group on Monday for this annual train. 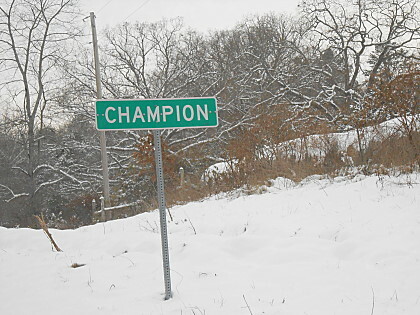 The Viola bunch came back to Champion and camped there Saturday night. They are self-contained, carrying everything they need with them. They were expected to get back to their starting place by Tuesday. Others on the trip this year were Ken Waits, Diane and Kenny Ball, Eddie Combs, and Jerry Sanders. 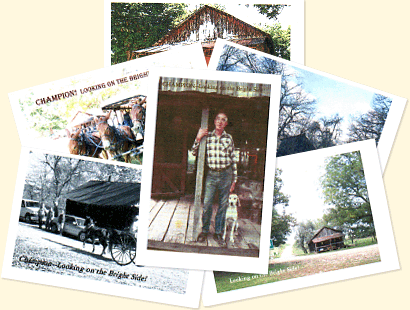 Pictures of previous visits by the wagon train can be found at www.championnews.us. 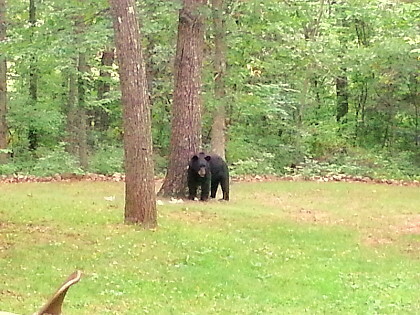 It is one of the highlights of the year for a place that is always looking on the bright side. 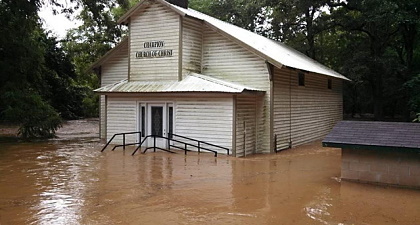 The church at Champion took on more than six inches of water during the day Thursday, August 8th. 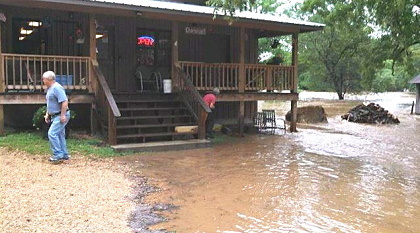 Flood waters from Fox Creek reached the steps of Henson’s Grocery and Gas but the store did not take on any water. Send a Look on the Bright Side! I really like the quilt Mrs. Wrinkles is donating and wondered what the name of the pattern is. Matter of fact it is a beautiful piece and I would love to be the lucky winner.